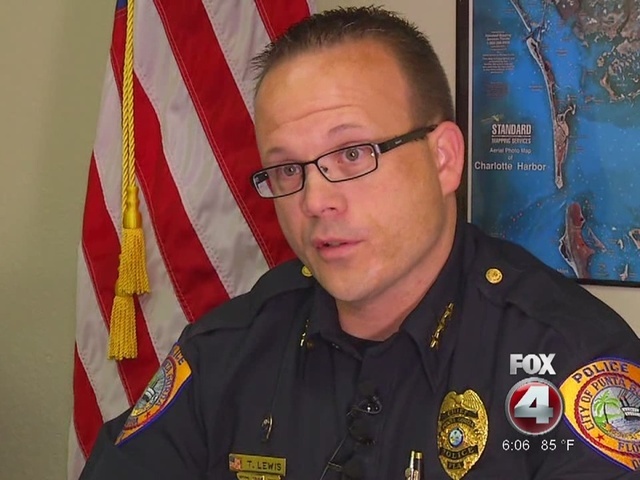 PUNTA GORDA, Fla. -- The Punta Gorda Police Department is making major changes within his department. This two weeks after 73-year-old Mary Knowlton was accidentally shot and killed during a lethal-force demonstration at a citizen's academy class. The officer who shot her, Lee Coel, remains on administrative leave pending the outcome of an investigation. The shooting is still a sensitive subject at the police department. "I'm very sorry for the Knowlton Family, really. But I have a department to run. I have a lot of officers that need leadership and guidance," says Chief Tom Lewis. Which is why he's paying no attention to any requests for him to resign. "To think that it's a good idea to create instability within the police department right now, I don't think is very wise. I made a commitment to this community when I accepted the chief of police job and I plan on keeping that commitment." As part of that commitment, Lewis is asking a law enforcement board to consider changes to citizen police academy demonstrations nationwide. "After this incident, we have developed some new policies." The first of the two changes would require all lethal weapons and ammunition be stored separate from less lethal weapons and ammunition. The second change bans the use of live firearms during scenario-based training exercises, with noted exceptions as defined by the agency. Lewis hopes these proposals will improve safety. In the meantime, he's working on improving the spirit of his department. "Speak to the morale of the department right now...the morale of the department is up and down. I think people are still grieving what they saw or their co-workers." So where do we go from here? The Florida Department of Law Enforcement has to finish their criminal investigation, which we're told should be done in about 2 weeks. That's when the Punta Gorda Police Department will begin their internal investigation, which is mainly based on policies and procedures.